Today I cut the seven rafters for the roof trusses. 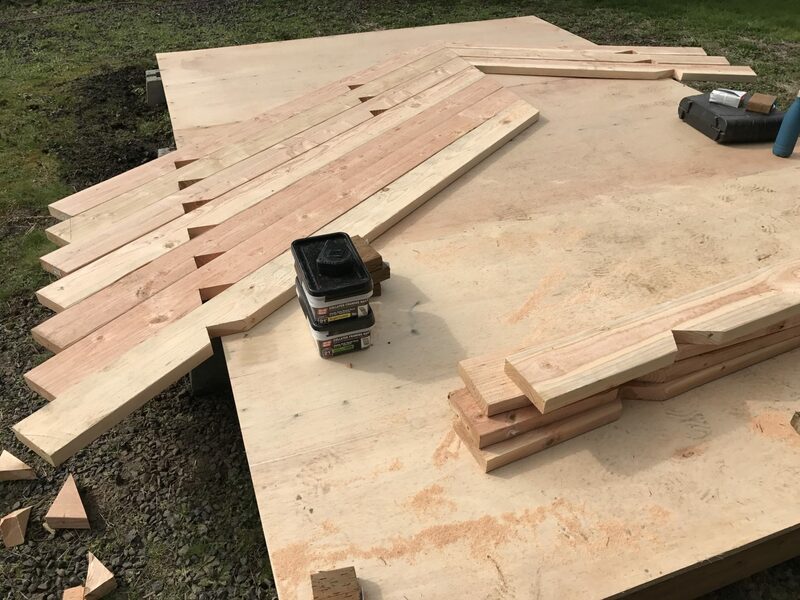 The coop will have an interesting “saltbox”-style roof, spanning between a 6′ wall on the back to a 8′ wall on the front, with a 10′ peak. 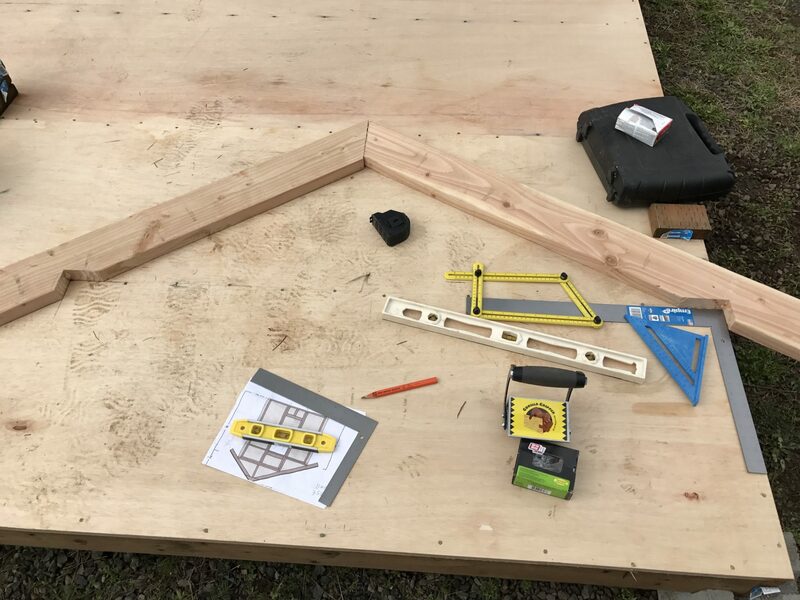 It may seem counterintuitive to make the trusses as the next step after the floor, but it makes sense; easier to work on them on the floor than later when the walls are in place, and I can use the floor as a template for the sizing. 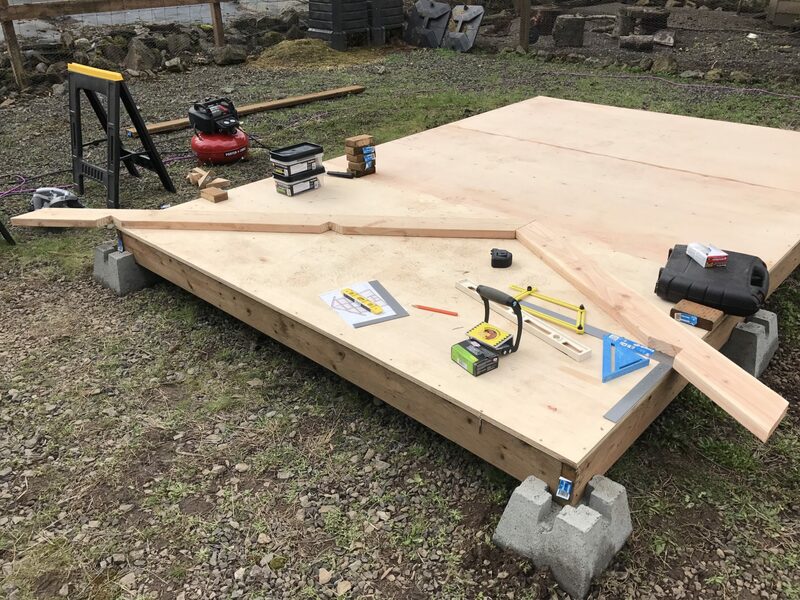 The rafters will be connected together with OSB gussets… some other day.